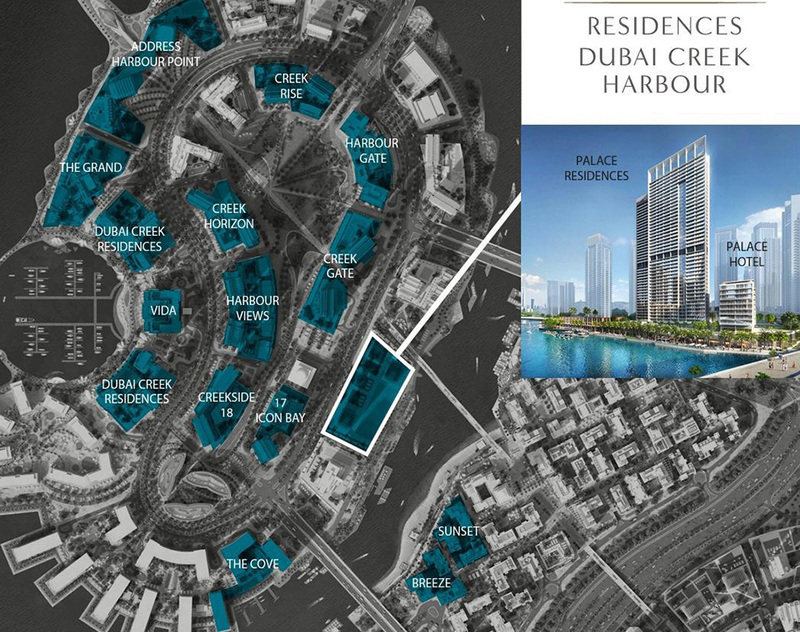 Palace Residences at Dubai Creek Harbour is located amidst the beautiful south-eastern side of Creek Island Dubai. Positioned within the Creek and roughly 2.5km from the mangroves of the Ras Al Khor bird sanctuary, this island is separated from the mainland by a canal approximately 100m wide. This waterway is in turn connected by two road bridges and one pedestrian bridge which afford a visually arresting journey to Dubai Creek Tower.